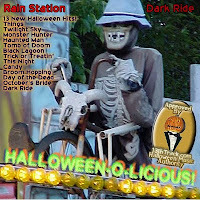 Today I'm thinking about the tune "Broom Hopping" from Rain Station's DARK RIDE CD. I converted the intro of this song into a ring tone and that's what plays when I get calls on my cell phone. I get to listen to it regularly throughout the year and this disc is with me day in and day out...in my heart and mind constantly. I have yet to get tired of listening to this disc and I hope that others feel that way about it as well. 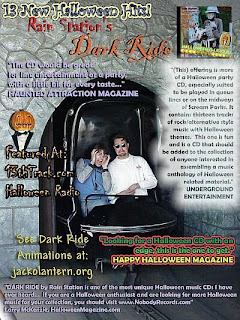 The road trip to Universal Studios with Jay is a very fond memory for me. It felt like we were on tour.